DISCO TORINO - POLAND (MIXED MC with GOOD DJ VOICE). 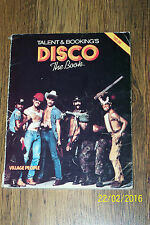 DISCO - No-1 (62 pages) XEROX COPY ! !